Emergo consultants in Europe and the US are performing a comprehensive evaluation of the new Medical Device Regulations (MDR) and In Vitro Diagnostic Regulations (IVDR) to determine any significant changes from initial proposed regulatory changes in 2012. Based on a high-level analysis of the MDR text, shown below are some initial key points. We have a separate overview of the IVDR here. The MDR will impact ALL device manufacturers: All medical device manufacturers selling in Europe will need to establish risk management systems (art. 8.1a) and quality management systems (art. 8.5); however, manufacturers of Class I self-certified devices are exempt from being required to have their quality management systems assessed by a Notified Body (art. 42.5). Major changes to clinical evidence requirements: Manufacturers may rely on equivalent products only under very strict conditions; manufacturers may only use data from clinical investigations; and stricter rules for conducting clinical investigations will be in effect. "Own Brand Labeler (OBL)" manufacturers will practically be made history: All OBL devices will need to have full Technical Files (art. 8.2, art. 8.4), as well as clinical data (art. 8.2). Major labeling changes: Unique Device Identification (UDI) codes must be included on all medical device labels; other significant changes to labeling requirements in the MDR will also need to be addressed. Tighter control over distribution chains: Requirements for importers, distributors and Authorized Representatives are brought in line with New Legislative Framework requirements listed in Decision 768/2008/EC; new requirements for importers and Authorized Representatives are also introduced. MDR scope is expanded to include new product lines: Annex XV devices and their accessories as well as some accessories to sterilized products will have to comply with MDR requirements. Changed role for Notified Bodies: These entities’ roles will change from "industry partners" to "policing bodies." Authorized Representatives’ liability increases: Under the MDR, Authorized Representatives will be held jointly and severally liable for defective medical devices, prompting these organizations to scrutinize non-EU based manufacturers more carefully before accepting their business; Authorized Representatives will also likely more thoroughly and frequently monitor such clients’ compliance, and seek insurance policies to cover added residual risks. As previously reported by Emergo, the MDR will come into effect in late 2019 or early 2020. Before implementation, there will be a formal procedure whereby the consolidated regulatory text is translated for all EU member languages, followed by formal publication. After that publication, expected in late 2016 or early 2017, there will be a three-year transition period. In terms of implications for CE Marking, certificates issued prior to final implementation of the MDR in late 2019 or early 2020 will have a maximum validity of five years. However, all CE Mark certifications issued before implementation of the new regulations will automatically expire four years after the new regulations come into force. 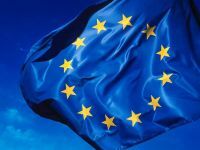 New European Medical Device Regulation taking next step forward in June?